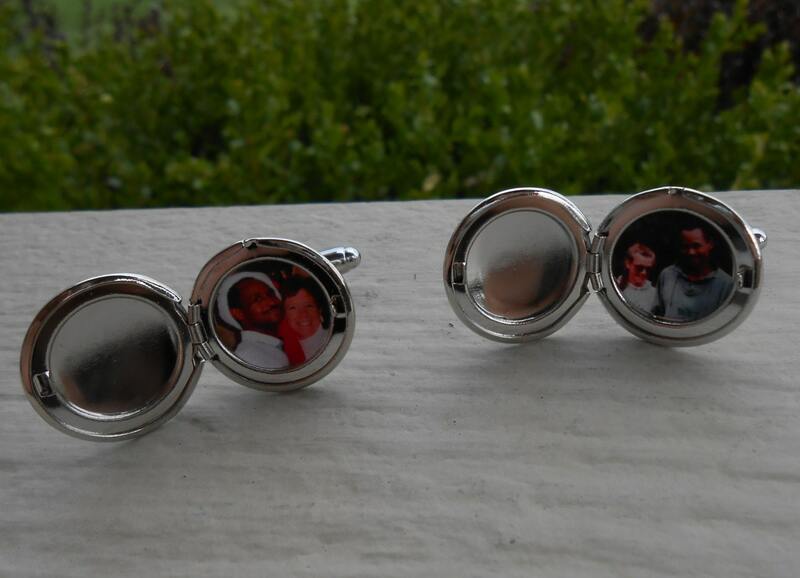 Personalized PHOTO Cufflinks. 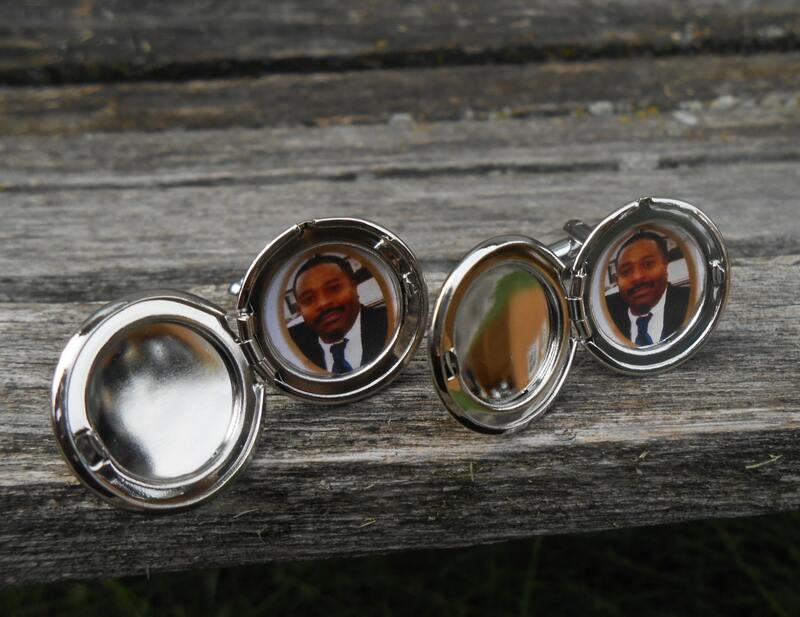 Wedding, Groomsmens, Groom, Men's Gift, Dad. 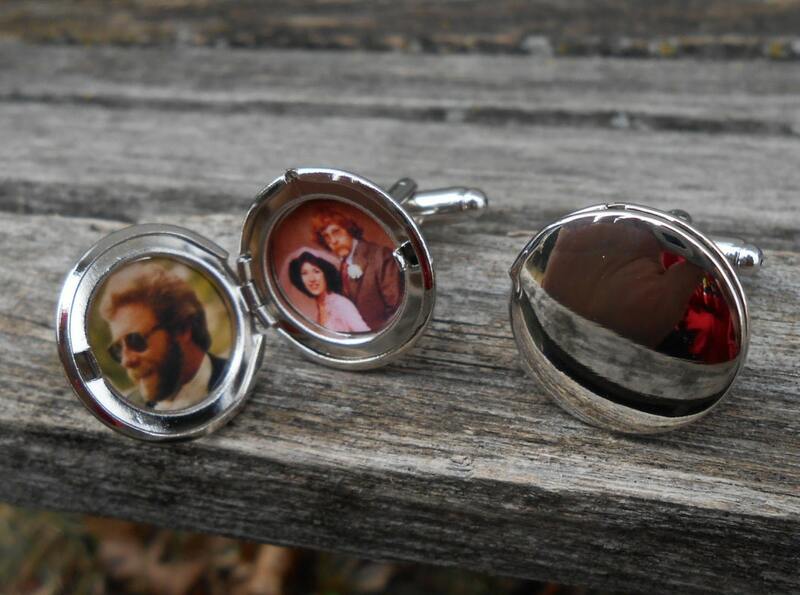 Custom Orders Welcome. 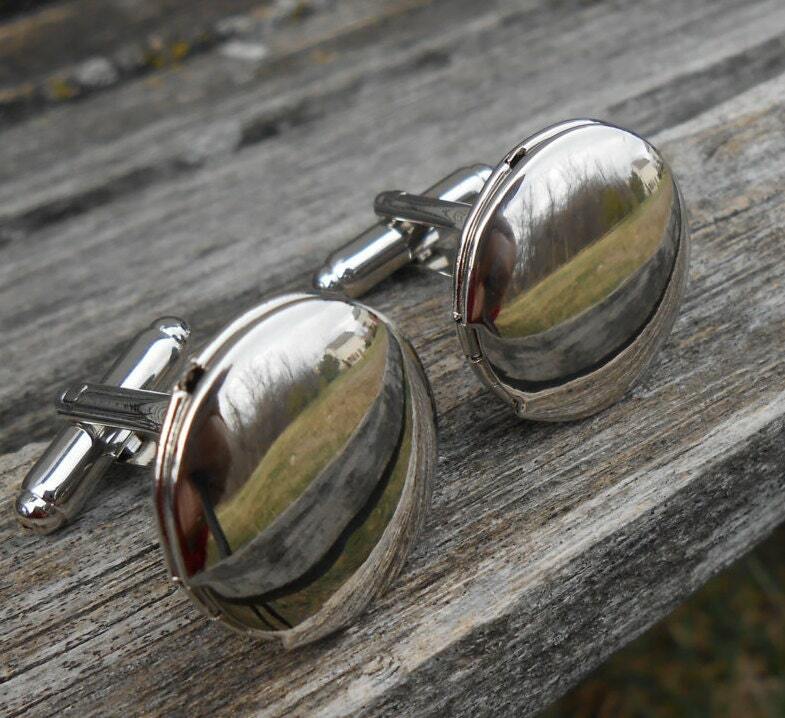 These silver tone cufflinks are lockets! They both open and have a place for two pictures inside. You can put a total of 4 pictures in this pair! They each measure 3/4". 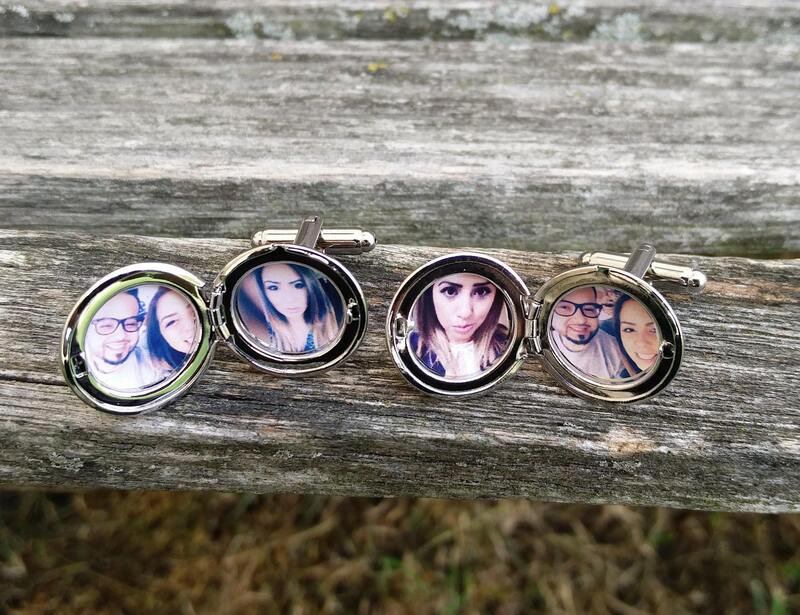 The space for the picture is a 1/2" circle. 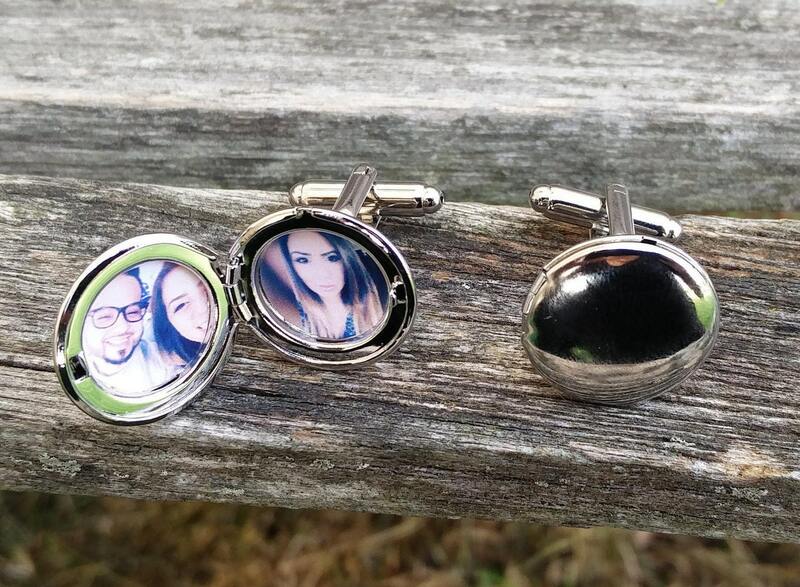 Insert your own photos in these and give them to someone you love! ***You are welcome to send me the photos and I can put them in for you! Just attach them to a message, or I can send you my email address. I will print and insert them for you. 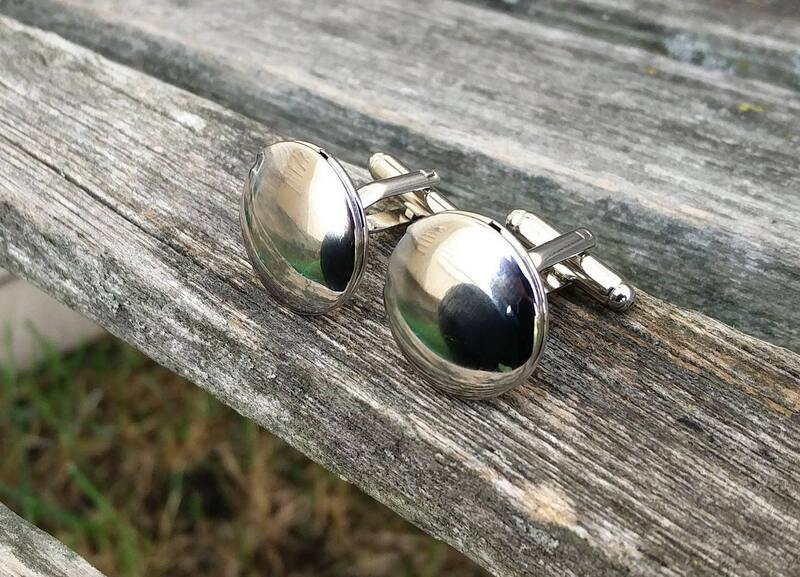 ***I also have a heart-shaped cufflinks.